Where do all those Place Names come from? The geographical names we are familiar with today have come from many sources. Some are aboriginal names, but most are names that were given to features by explorers, fur traders, land surveyors, settlers and government officials. Many names throughout North America, particularly the western regions, developed on an almost ad hoc basis, with no overall guiding framework. Many features soon came to have numerous names and many different spellings and variations. Governments began to see the importance of establishing guidelines to ensure that consistent and reliable maps could be produced. Oddly, the official naming of geographical features in Canada began in the United States with the establishment of the United States Board on Geographic Names in 1890. The board began making naming decisions for features located in Canada. As the names adopted by American government officials were accepted by other countries, Canadian government officials saw the need to exert Canada’s sovereignty over place names within its territories. In 1897, the Geographic Board of Canada (GBC) was established and given the authority to make naming decisions for geographical features within Canada. This board would go through periodic name changes – to the Canadian Board on Geographic Names in 1948, the Canadian Permanent Committee on Geographical Names in 1961, and the Geographical Names Board of Canada in 2001. Starting in 1897, the federal government held complete authority over naming decisions in Canada. As years passed, the provinces began to gradually play a larger role in these decisions. In 1899, the existing seven provinces and the North West Territories were permitted to appoint a representative to the GBC. These provincial and territorial representatives could present the opinions of their respective jurisdictions on the appropriateness and spelling of names. In 1961, jurisdiction over naming was almost completely transferred to the provinces, but the federal government retained control over naming on federally controlled lands – National Parks, Indian reserves, military bases and in the territories. In 1979, geographical naming on federal lands became joint decisions between the province and the relevant federal department or agency. The territories did not gain the authority to name their own geographical features until 1984. Today each province and territory has the authority to make its own geographical naming decisions. The Geographical Names Board of Canada (GNBC) still exists, but its mandate has changed. Today it serves mainly as a supporting body that aids the provincial and territorial programs. It does so by serving as a liaison between the provincial programs and federal departments, it co-ordinates policy regarding nomenclature and procedures, it advises on research, it promotes the use of official names through information-sharing, it represents Canada at international naming conferences and on naming bodies, such as the United Nations Group of Experts on Geographical Names and it maintains the Canadian Geographical Names Database, which is a registry of all official geographical names in Canada. Most people interested in historic places enjoy learning about site history. For instance, the public may like to learn about detailed historical information, heritage values and information pertaining to site location. 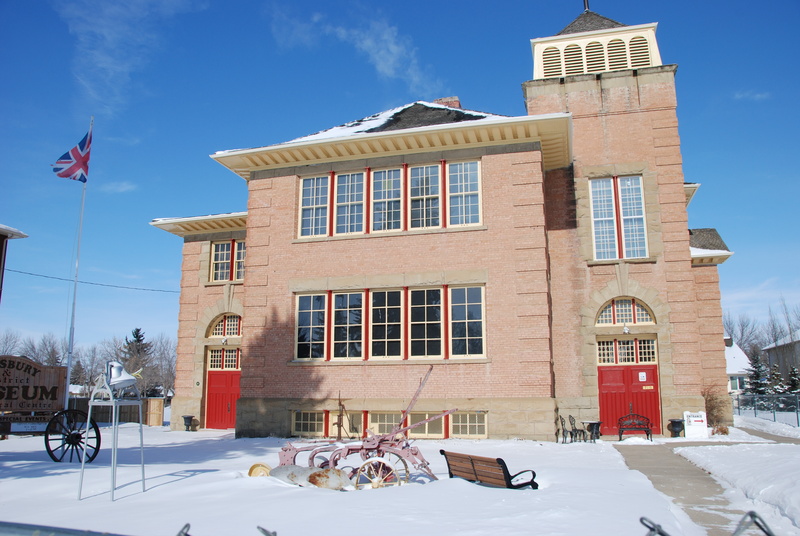 Throughout Alberta (and listed on the Alberta Register of Historic Places), there are 339 Provincial Historic Resources, two Provincial Historic Areas, 211 Registered Historic Resources and approximately 157 Municipal Historic Resources. How could information about these sites be shared with the public? The emergence of small adaptable square bar codes called QR codes could be an option. QR (Quick Response) codes are funny looking square bar codes that can be scanned from your cell phone’s camera, provided your phone is enabled with decoding software. Each code can be embedded with all kinds of information including text, URLs or other data. 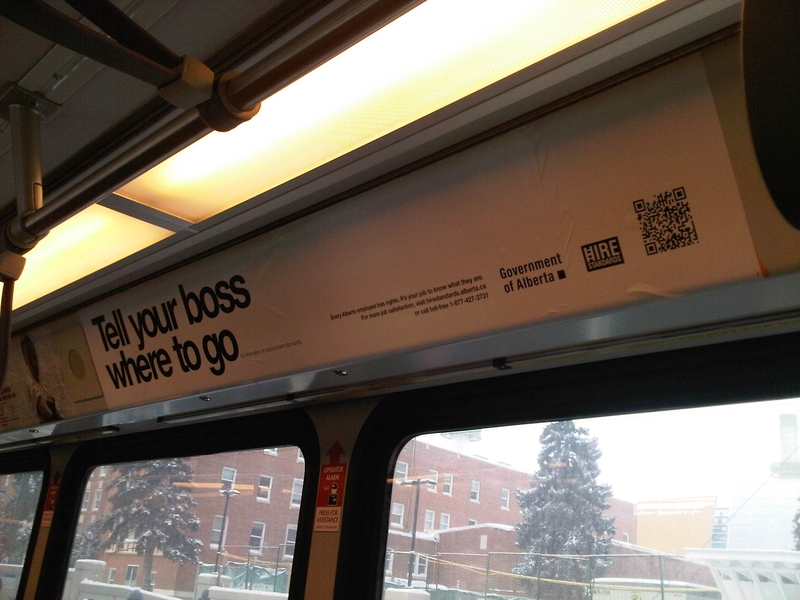 QR Code (bottom right-hand corner) featured on a Government of Alberta advertisement. My first experience with QR codes was three years ago when I participated in an urban race in Edmonton. The race was part scavenger hunt and part puzzle solving, which largely involved finding particular locations by solving riddles about Edmonton and completing certain tasks. A portion of the race involved using your cell phone to find QR Codes. Since the race, I have noticed a gradual increase in the use of QR codes. They are in advertisements and located on the packaging of various consumer products. The Japanese, creators of the QR code, wanted a way to embed content that could be quickly decoded. Created in 1994, the Japanese have integrated the QR code into their everyday life. In a place so densely populated, where lack of space is an issue, the QR code allows for much more information to be available to those who want it. Although QR codes are most commonly used for reading a URL and accessing a website, QR codes in Japan are also being used in unique ways. QR codes can be used to allow people to purchase items from cashless vending machines by scanning QR codes with their cell phones. 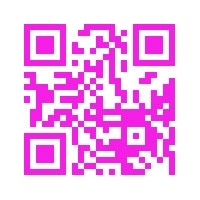 Check out the QR Code for Ophelia Liew's email address. Could QR codes be used to provide information on individual historic places, and also for walking tours, historic districts and areas? The compact size, the ease in generating new codes and the popularity of camera enabled cell phones are all factors that suggest the ease of using QR codes. It would be interesting to investigate if QR codes could be used as a new and effective medium for displaying and accessing information about Alberta’s historic places. Heritage Conservation Advisors would find this technology useful as we refer to two main conservation management tools on a daily basis: the Statement of Significance (SoS) and the Standards and Guidelines for the Conservation of Historic Places in Canada. Each designated historic resource in the province has a Statement of Significance, a one or two page document that outlines the site’s heritage values and character-defining elements. Anyone with an appropriate type of cell phone would have the ability to retrieve the Statement of Significance by being directed to the Alberta Register of Historic Places. Read about where we work! 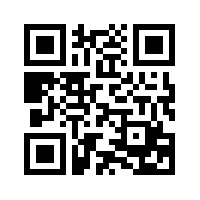 Check out the QR Code for Old St. Stephen's College's Statement of Significance. We’ve changed the clocks, it’s warming up, and the annual crop of potholes is appearing. Spring must be just around the corner. If you’re itching to get out and enjoy the fresh air, why not add some heritage to your outing? Check out the PDFs of walking and driving tours on the Heritage Survey Programwebsite – from Coleman to Grande Prairie and places in between, there’s a whole bunch to choose from! 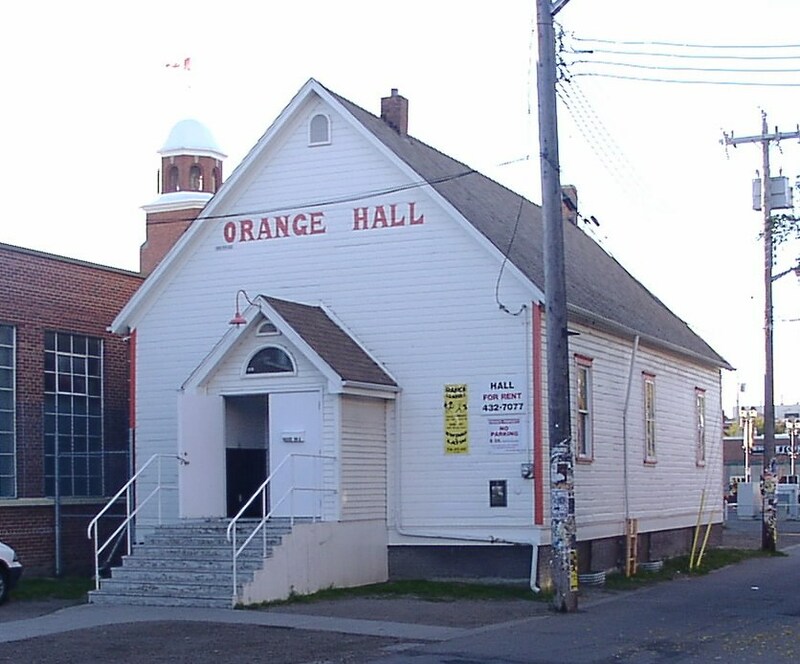 The Orange Hall in Edmonton was designated a Provincial Historic Resource in 2007. In order for a site to be designated a Provincial Historic Resource, it must possess province-wide significance for either its history or architecture. To properly assess the historic importance of a resource, a historian crafts a context document that situates a resource within its time and place and compares it to similar resources in other parts of the province. This allows staff to determine the importance of a resource to a particular theme, time, and place. Below is some of the historical information used in the evaluation of the Orange Hall. Village of Holden: Holdin’ their Heritage! The Village of Holden, a community of 398 residents in east-central Alberta, is currently completing a Municipal Heritage Survey and Inventory project with funding assistance from the Municipal Heritage Partnership Program (Alberta Historical Resources Foundation). Approximately 60 sites within Holden have been documented through the survey phase of the project and 24 sites have been evaluated for historical significance as part of the inventory. Completing this project has allowed the Village to get a better hold on their heritage. 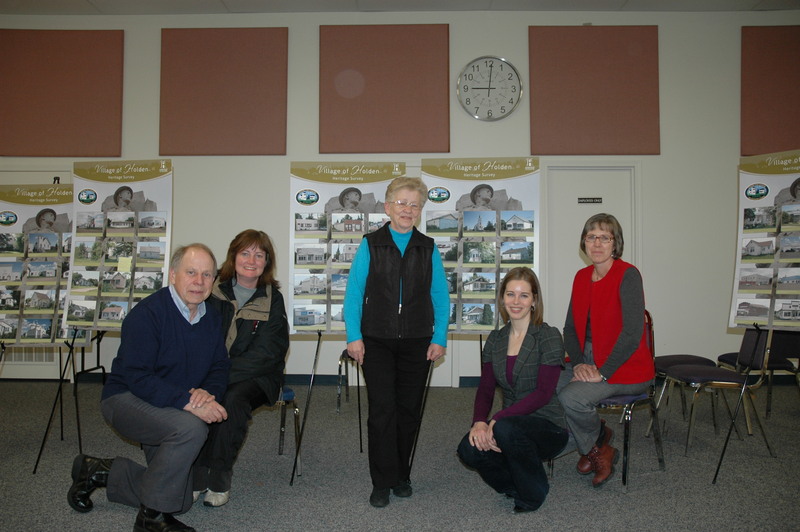 At an information session held in January 2011 owners of evaluated properties were able to learn more about the project and discuss the possibility of Municipal Historic Resource designation. In February, we received a comment on our Facebook page about the origins of the name Battle Lake. This water feature is located approximately 53 km west of Wetaskawin. It is one of a series of water features in the area that are identified by the name Battle, including Battle Creek, Battle Lake and Battle River. The name Battle Lake was first recorded in the 1883 field notes of Tom Kains of the Dominion Land Survey (DLS). He recorded it as “Battle River Lake” due to its location on the Battle River. He later shortened the name to Battle Lake and, in 1901, that form of the name was approved by the Geographic Board of Canada for use on maps. Battle Lake is fed by Battle Creek, which flows easterly into the lake at its north-westerly point. The creek was first recorded by the DLS as “Battle Lake Creek” in 1903. Two year later, the DLS shortened the name to Battle Creek, but the name was not officially adopted until 1960. The name Battle River has a much longer history. The first recorded reference to the Battle River was by explorer Anthony Henday, who spent considerable time in the region during the 1750s. He referred to the river as “Chacutenah.” The inspiration and translation of that name is not currently known. The name Battle River is first recorded by explorer Peter Fidler. In his journal entry of November 14, 1792, he writes that his party “came to the Battle or Fighting River, which is only about 3 yards wide & very little water in it, which runs in a very serpentine course thru a valley SE & NW & falls into the Saskatchewan river after receiving several small streams about 40 miles below Manchester House” [Note: Manchester House was a Hudson’s Bay Company post just east of present day Lloydminster]. The name Battle River is supposedly a translation of the Cree no-tin-to-si-pi and/or the Stoney kec-hi-sab-wapta, although it is also referred to by the Blackfoot as kinok-kxis-sis-ughty (little or half river). Traditional and local knowledge is that the river formed the boundary between the territories of the Blackfoot and the Cree peoples and that many battles occurred along its length. Interestingly there was another Battle Lake located about 65 km to the south east. In 1914, it appeared on maps as Battle Lake. It was believed that having two lakes with the same name in such close proximity would cause confusion, so, by 1921, the name of this lake was changed to Samson Lake after Cree Chief Samson. For a larger view of the above map, click here.